Many people think that Cancer is the disease born from the stressful and polluted modern world. In fact, Cancer is thousands year old disease, first recorded on the papyrus 2500 BC in Egypt. I have lost several patients with different kinds of cancer over the course of 5 years and found that people don’t really know about cancer as much as they think they do and also cancer therapy should need a good medical team, conventional medicine with alternative medicine such as acupuncture, Asian medicine, diet, nutrition, qigong, meditation etc. 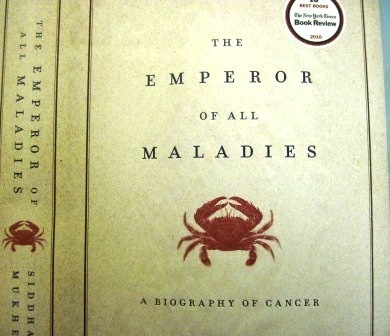 If you want to know more about Cancer, its birth, origin, how cancer therapy has developed in the history of Medicine and where it is going to in the future etc, this is the book you really need to read. The author, Siddhartha Mukherjee himself is a cancer physician, has been working on this field of medicine.